Maryland offers several down payment assistance programs for first time home buyers. Not only does the state offer programs, but most of the different counties or towns also offer assistance programs in addition to what the state offers. The main programs offered by the Maryland Mortgage Program (MMP) are: Down Payment Assistance and Partner Match Programs. With these programs you may qualify for assistance with your down payment or closing costs, a home inspection, or prepaid/escrow expenses. The goal of the MMP is to help those that are first-time homebuyers to purchase a home when the are not able to come up with these fees alone. If you are eligible for a Maryland Mortgage Program mortgage you are eligible for the Down Payment Assistance Program. The loan offered by this program is a zero percent deferred loan. You can receive a loan up to $8,500. This loan will not charge you any interest and is not payable until the mortgage is paid off. If you refinance or sell you will be responsible for paying back the amount of the loan at that time. Many first time homebuyers are also able to qualify for additional help from the Partner Match Program. Any funds you receive from this program will be matched by the MMA up to $3,500. The partners include: partner employers, builders and developers and community organizations. Most of the funds are provided by grants or loans and range between $1,000 and $5,000. There are many local governments in Maryland that will add additional assistance to the two programs mentioned above. Some communities require you to live in certain parts of that community to qualify. Other programs are offered by your employer if you live within a certain distance from work. When trying to purchase a home be sure to check with the different local governments to see what programs they offer and if you are eligible. Maryland works very hard to assist new homebuyers with their purchase of their new home. That help comes from state programs along with local and community programs. You are able to apply and possibly be helped through many different programs. Be sure to take the time to check out all the programs in your area. You may be surprised at how much assistance is available to you. Down Payment Assistance Program This Maryland down payment program qualifying buyers can also receive Maryland down payment and closing cost assistance of up to $8,500 in the form of a 0 percent deferred loan. Maryland borrowers must pay the loan upon selling or transferring the property, or after refinancing or paying the first mortgage in full. HomeCredit Program Mortgage Credit Certificate when combined with the Maryland Mortgage Program and Maryland down payment assistance can save a home buyer tens of thousands of dollars over the life of a home loan. The value of Marylands MCC is 25 percent of the mortgage interest paid, up to $2,000. Homefront Program This Maryland down payment program offers active duty and military veterans an interest rate discount of 0.25 percent on a 30 year fixed rate mortgage. 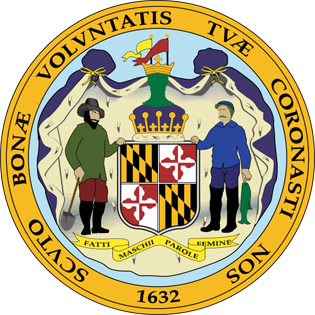 This Maryland down payment program can also be combined with Marylands Maryland down payment assistance. MMP — No Down Payment Assistance (No DPA) Program This Maryland down payment program – Maryland borrowers taking advantage of the Maryland Mortgage Program can forgo the Maryland down payment assistance associated with the loan and instead get a lower interest rate through the No DPA Program. No DPA Maryland borrowers can still utilize a MCC. Mortgage Program This Maryland down payment program Maryland borrowers can get a 30 year, fixed rate mortgage. First time home buyers and those who have not owned a home in the previous three years are eligible. Repeat buyers are eligible if they buy a home in a targeted area. These first mortgages can be combined with Maryland down payment assistance. Partner Match Program This Maryland down payment program – Maryland has joined forces with employers, developers and community organizations to offer partner match programs that can help home buyers cover Maryland down payment and closing costs. Partner match programs generally involve contributions of between $1,000 and $5,000 in the form of grants or loans from a partner organization. The Maryland Mortgage Program then matches these amounts up to $3,500 in the form of a zero interest deferred loan. Multiple partner matches may be combined, and these matches also may be combined with other Maryland down payment assistance loans. Cumberland Neighborhood Housing Services Inc.
Maryland housing agencies are your best resource for down payment assistance programs. Through funding from HUD, the purpose of these agencies is to ensure that affordable housing is available for everyone. This entry was posted in Maryland and tagged assistance, builders, developers, down payment assistance, local, maryland, mma, mmp, partners. Bookmark the permalink.